Hauskaa lauantaita, tervetuloa viikon Allsorts haasteen pariin! Jotain muuta askartelua halutaan nähdä haasteessa. Olen tehnyt muistikirjoja, ne ovat mukavia mökkiprojekteja. Hi; Happy Saturday, it's time for a new Allsorts Challenge! Anything but a Card - is Tracy Mouse's theme for the next week. 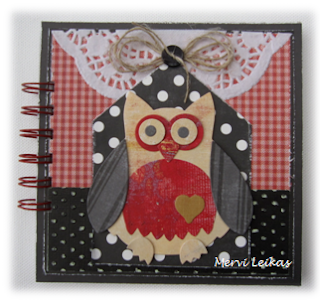 Our sponsors are PPR Papercrafts and Deedee digis. 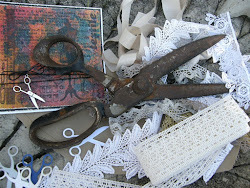 I have made two Bind it all - booklets, I have the machine at the cottage and love to work with it there. These are brilliant Mervi, I especially love the owl one. Ihania ja persoonallisia. Noita on varmasti kivaa tehdä. What a great idea! Love the autumnal colours! I love your little books Mervi, they are cute and are perfect for my theme. Wow, love these booklet(s) !